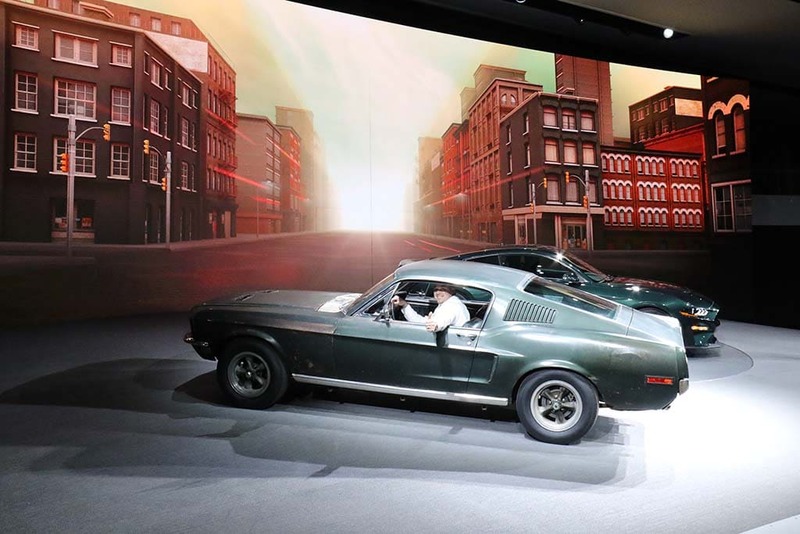 New Mustang “channels the spirit” of screen legend Steve McQueen. 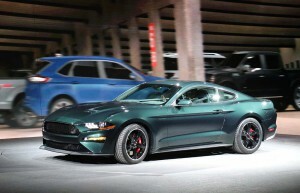 The 2019 Ford Mustang Bullitt will be more powerful - and 8 mph faster - than the Mustang GT. 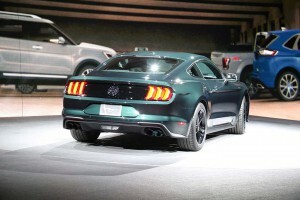 The Bullitt is back, Ford dropping the first big surprise of the 2018 North American International Auto Show by announcing that it will revive the badge made famous by screen star Steve McQueen in a series of legendary chase scenes in the 1968 film that made the Ford Mustang his tire-squealing co-star. 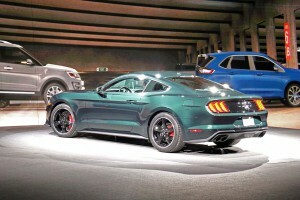 The Mustang Bullitt will be offered as a limited-edition 2019 model boasting 475 horsepower and 420 pound-feet of torque – even more than the latest-edition Mustang GT. It will be offered, of course, in the same Dark Highland Green — though it will also be offered in Shadow Black – paint as the pony car that McQueen drove 50 years ago in one of his most iconic film turns. It’s not the first time that Ford has bolted the Bullitt badge on a Mustang, but it’s the most powerful, most sophisticated and fastest, the new pony car boasting a top speed of 163 mph – 8 mph faster than the newest GT – using the classic Mustang 5.0-liter V-8. Ford also rolled out one of the original cars used to film "Bullitt" back in 1968. Molly McQueen actually had to learn how to drive a stick for her scenes in a video Ford showed during its news conference Sunday evening. 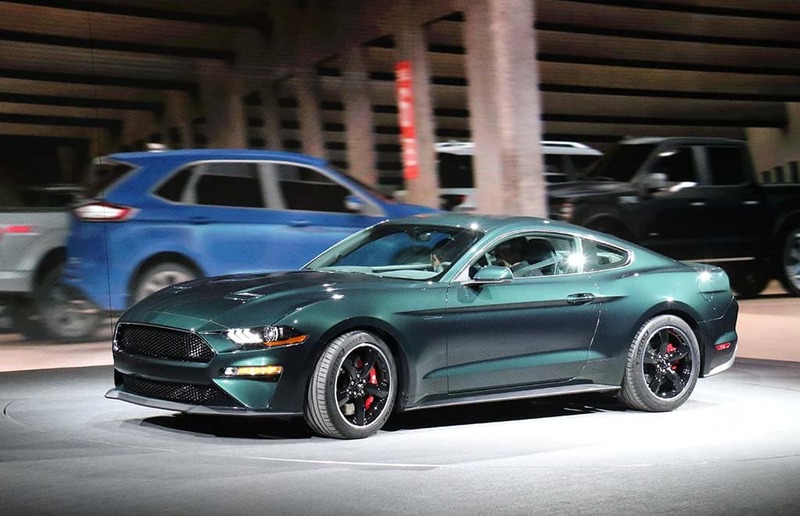 As fans would likely find appropriate, the Mustang Bullitt will only be offered with a manual transmission, albeit one with six gears, rather than the original four. But there’s a classic ball shift knob that Steve McQueen likely would have felt comfortable with. 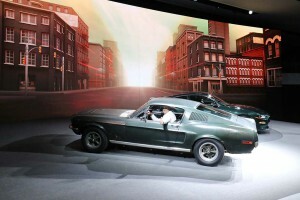 The third iteration of the Bullitt Mustang this century is also the fastest and most refined. Other distinctive features that harken back to the film include chrome accents around the grille and front windows, torque thrust 19-inch aluminum wheels, a unique black front grille and a circular faux gas cap with the Bullitt logo. McQueen might have appreciated one modern concession: the red painted Brembo brakes. And there are a few concessions to modern sensibilities, including a leather-trimmed interior with green accent stitching. The legend of the Bullitt was largely based on a 10-minute chase scene that ran down the streets of San Francisco and out into what were then quiet suburbs, McQueen going after a pair of hitmen. 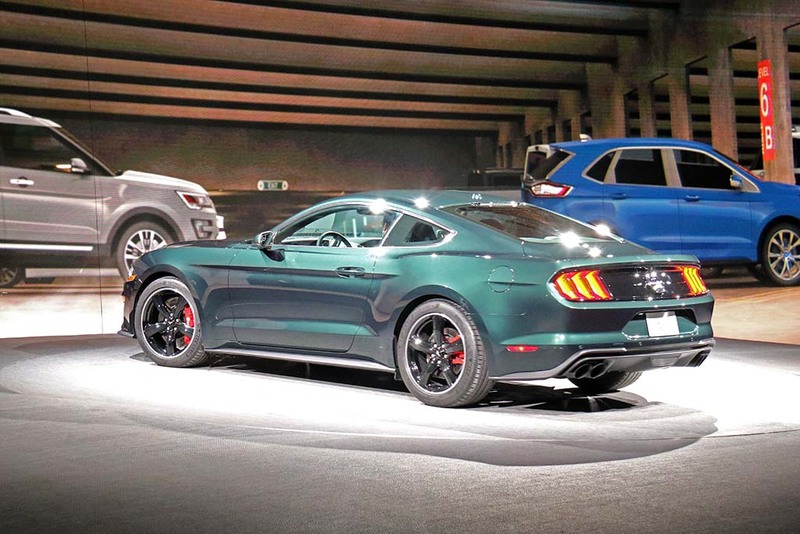 Ford will build just a limited number of the 2019 Bullitt Mustangs. Fans and normally jaded journalists on hand for the unexpected Bullitt rollout were given another treat. The automaker was able to track down one of the few surviving cars used for the ’68 film shoot – which reportedly saw a number of Mustangs damaged beyond repair. It was purchased by a Detroit fan who spotted an ad in an automotive magazine and snapped it up for a reported $3,000. It’s been sitting in storage for decades but got a partial restoration for the Sunday event. This entry was posted on Sunday, January 14th, 2018 at and is filed under Automobiles. You can follow any responses to this entry through the RSS 2.0 feed. Both comments and pings are currently closed. Living in the past, methinks. Was their target customer alive when the movie came out?